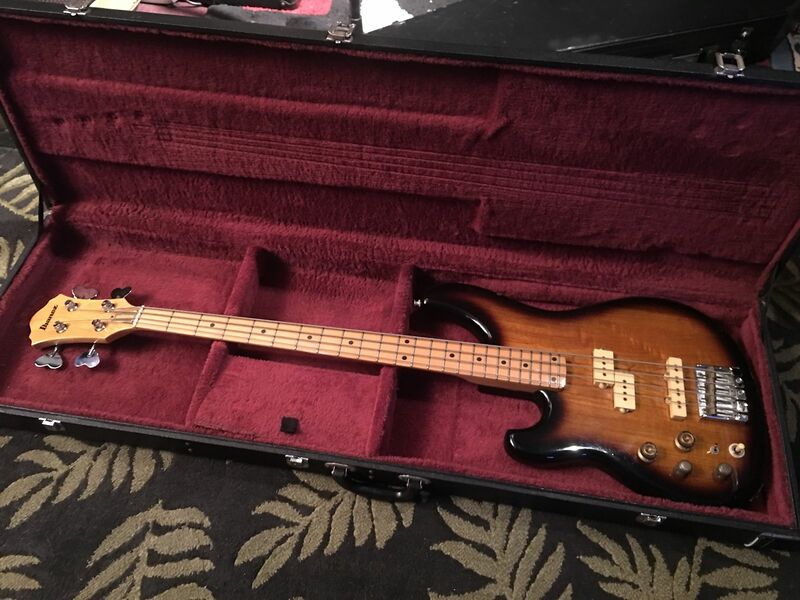 After pjmuck mentioned they had this bass for sale I checked the website, they had no pictures but the bass was listed for $500 so I called them and they said the price had been "revised"... It is now $700 + $100 shipping. It still open for offers so who knows how much they will settle for. 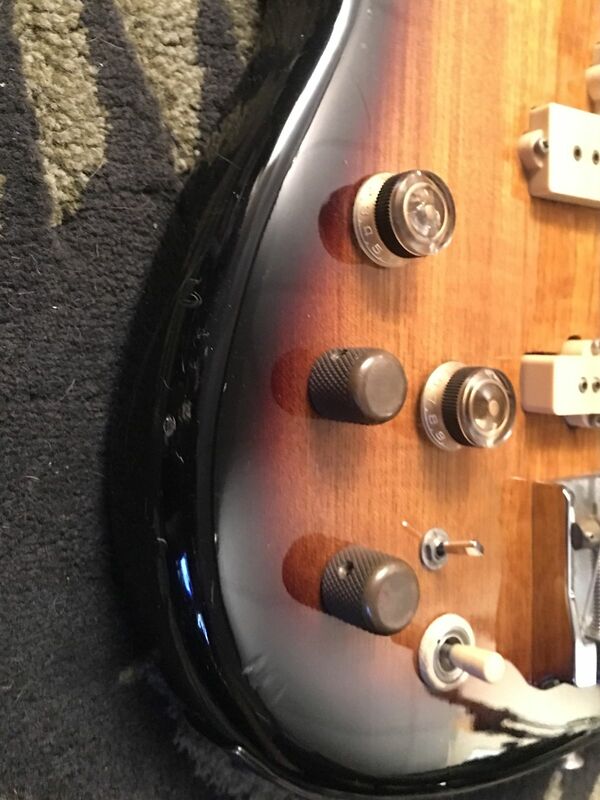 Looks like 2 knobs are not original otherwise everything else seems to be there! Looks like it's missing all 4 bushings too. 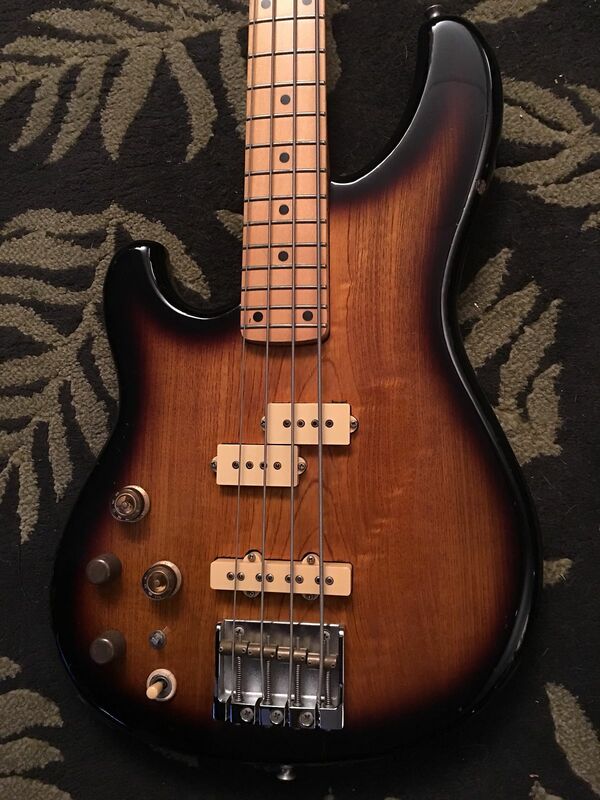 And is the G string pulled out of it's nut slot, or is there an extra nut slot too? I see it now, it appears to be out but again, who knows?? Oh boy it must be the desert heat! The tuner bushings are there. 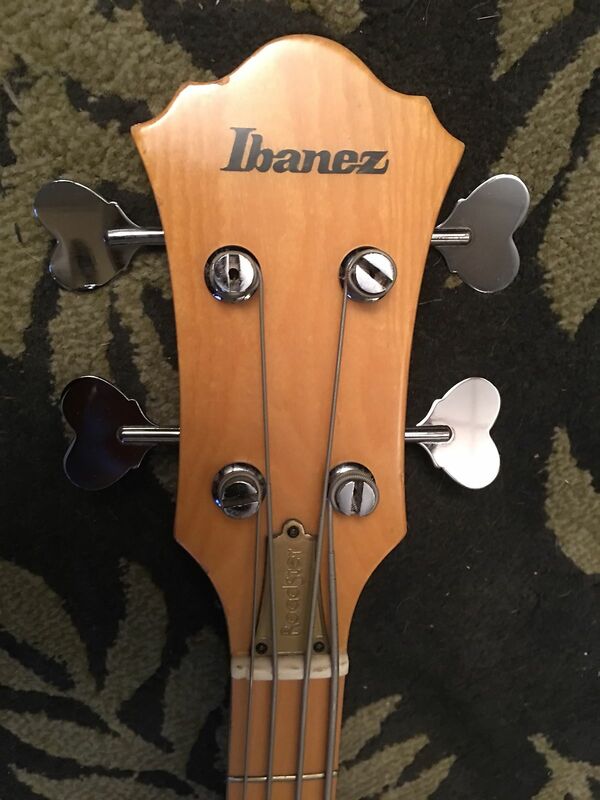 Just a funny angle and reflection in the headstock close up. You can see them in the picture of it in the case. 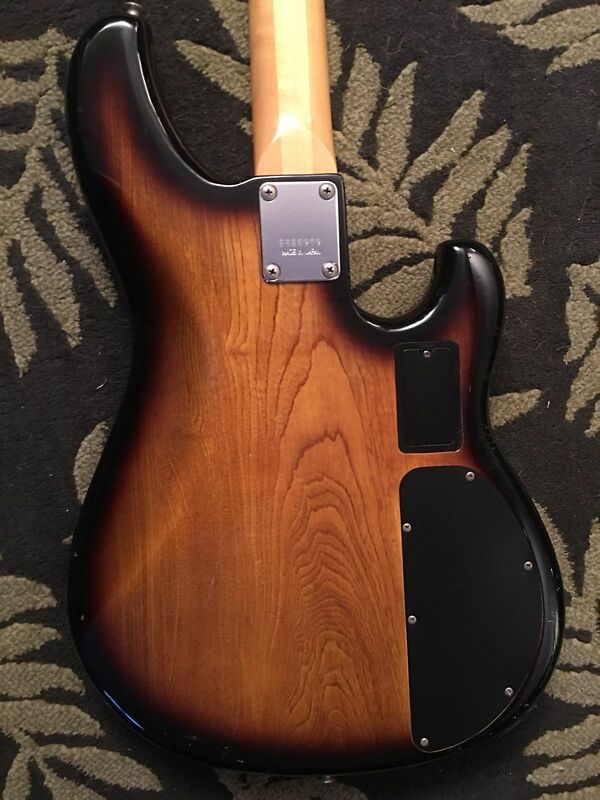 Sold already, this one and the one from Ebay... looks like this is getting a little popular lately!